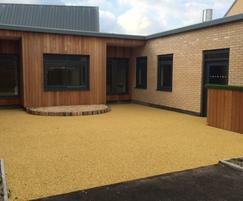 Following a new build of an all-age day school catering for children and young people with severe learning difficulties, SSP installed extensive areas of wet pour rubber and artificial grass for sporting activities. 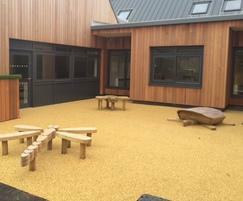 The rubber laid at Portesbery is a mixture of different coloured granules proving an textured earth tone finish. 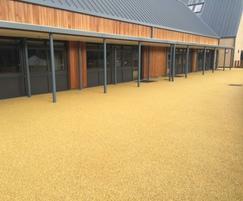 Wet pour rubber is a two layer system of a coloured rubber topping on a black rubber base. 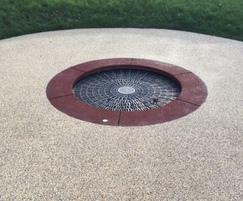 The top coloured layer is a wearing course which can be replaced later in the surface’s life. 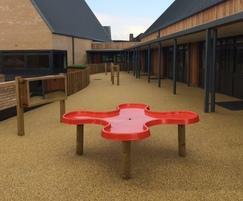 The wet pour rubber provided an almost seamless, smooth, soft and bouncy surface suitable for the play areas and walkways. 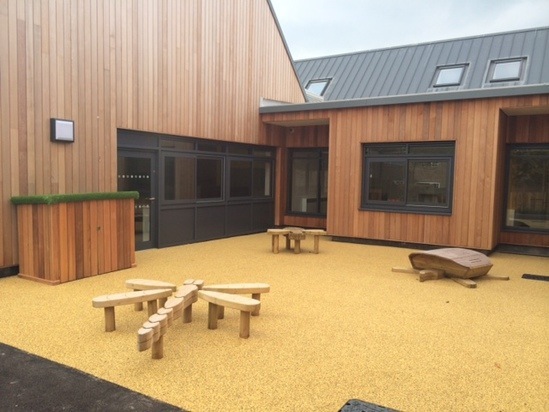 The installation met critical fall height requirements around playground equipment and provided a surface suitable for wheelchairs and foot traffic. 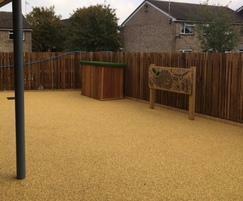 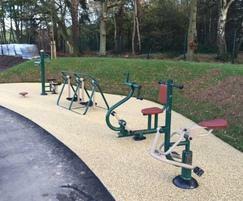 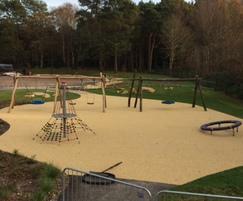 Wet pour rubber is ideal surfacing for schools, nurseries, elderly care facilities, community parks and playgrounds. 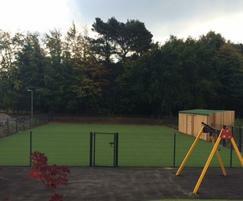 To cater for the wide range of ages and abilities, the artificial grass sports area was designed and installed without integrated sports lines to maximise the number of sports the artificial grass surface could be used for. 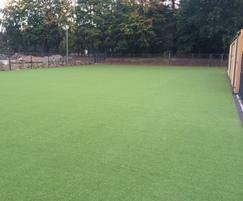 Artificial grass can be used in a similar way to wet pour rubber to provide safety surfacing and sports facilities.